Beach Cabins Merimbula is the place for all seasons; we have a host of activities and adventures in and around Merimbula for you to experience and enjoy right through the year. Merimbula is one of the choice locations on the NSW coast from which to observe the incredible Southern Migration of whales from August through to November; with the Eden Whale Festival a highlight at the end of October. Our park is well situated in an elevated position on Short Point allowing you to observe these magnificent creatures from our front lawn (and in some cases, from your cabin!) or hop on one of the local Whale-watching cruises docked at Merimbula Marina or Eden to get up close. Merimbula is at the heart of Australia’s Oyster Coast: With the pristine waters in our many local estuaries, you can enjoy international quality oysters directly from the many oyster farms, or better still join one of the local oyster tours to learn more about how they are grown; meet the local growers and sample their award-winning produce nurtured for local and international markets. There are numerous walks and hikes in the region suited to all fitness levels, ranging from leisurely strolls along the beach to more challenging bush and coastal hikes in the area including the local National Parks. Our location adjacent to natural bush reserve, as well as Back Lake and the adjacent beaches allow for some spectacular scenery and birdlife on several walks directly from our Cabins. The Sapphire Coast is famous for its fishing, as it is one of very few regions offering superb game fishing, bottom bouncing, rock or freshwater fishing. Apart from the charter fishing options available in Merimbula; take a stroll from the Beach Cabins down to Back Lake for estuary species, Short Point headland for rock fishing, or Short Point Beach for beach fishing options. The protected waters of Merimbula Lake are home to a whole range of watersports activities to suit all skill levels: Learn to master a Stand-up Paddle Board or hire a Kayak for some family fun. You can also hire paddle boats and tinnies at Merimbula’s Top Lake Boat Hire. The many beaches and prominent headlands in the Merimbula area offer a range of surfing options through the year; there is always an option for good surfing, body boarding, or kitesurfing no matter the wind direction on the day! 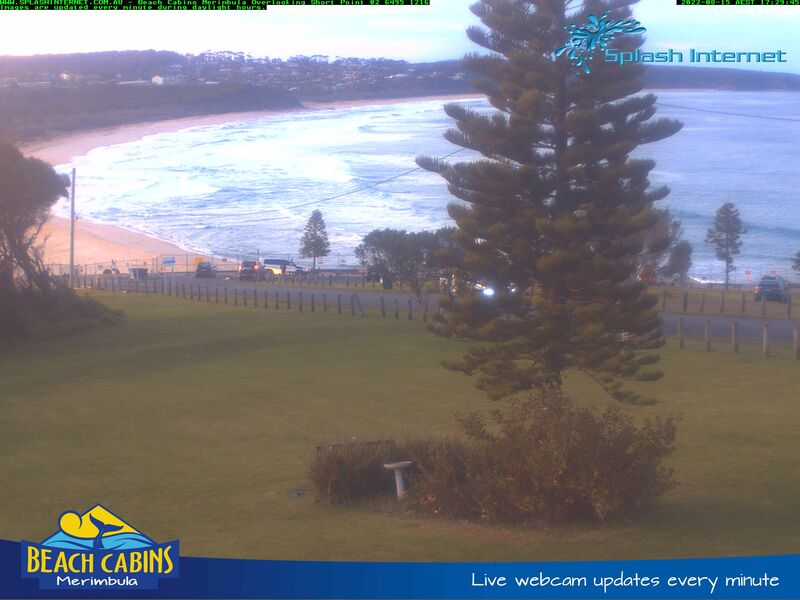 Beginners can also sign up for surfing lessons at nearby Pambula Beach. Don’t miss the Merimbula Classic surfing and Kitesurfing competition in November! Merimbula has a total of 4 golf courses within a 30km radius and we are only 10 minutes from either Tura Beach Country Club or Merimbula / Pambula Golf Club. Bring your bikes to Merimbula for a range of rides to suit the whole family; from leisurely local rides through to more challenging mountain trails, we have many riding options for you. The Sapphire Coast has around 90 Kms of mountain biking tracks taking you from clifftops to beaches through natural bushland. We have 2 local bowling clubs offering top quality bowling greens and both social and competition level bowling opportunities. Both Tura Beach (10 mins) and our local Sapphire Club (2 mins) are top options in the region for you to enjoy day time, twilight, night competitions or barefoot bowls with your friends. The Sapphire Coast wilderness drive along Tourist Drive 9 (see attached brochure for more detail…[pdf link]) takes you through some amazing natural beauty along a beautiful coastal route where you can explore natural beauty and beaches in the many national parks, as well as the quaint little towns and historical highlights dotted along the route. Have a great day out with the kids at Magic Mountain, only 10 mins from the Cabins. Heaps of rides, slides and thrills for kiddies of all ages and mum and dad can enjoy a coffee or meal from the old Melbourne tram. Alternatively take a picnic or BBQ along (entry to the park is free) while the kids enjoy the water slides, toboggans, racing cars and the zip-lines on the more adventurous Tree Climb Challenge. Just 10 minutes away is a real treat for the family: An award-winning native animal sanctuary where the whole family can get up close and personal with a range of native animals in a relaxed, informative, hands-on environment. Come face to face with koalas, kangaroos, emus, snakes and cuddly wombats. There is also a café and restaurant on site. The kids will love Merimbula’s own aquarium at Merimbula Wharf; only a minute from the Cabins. The aquarium is set below the fabulous Wharf Restaurant and specializes in local Sapphire Coast species across 27 tanks. Mum and dad can relax over a coffee or a delicious meal upstairs while the kids are enthralled with the show below. Regular fish-feeding sessions are worth seeing! A fun day out for the whole family only 10 min from the Cabins: Apart from the many mountain bike tracks there is also a Water driving range, a 9-hole pitch and putt course as well as a Jumping pillow for the kids. Lots of fun for the kids for an indoor day in Merimbula: Heaps of arcade games; ten pin bowling and an 18-hole mini-golf course will keep the kids entertained on those non-beach days. There is also a kiosk on site for snacks, coffees and lollies. A visit to the beautiful bays of Eden is well worth it and the Eden Killer Whale Museum is a highlight. The museum showcases the amazing stories of whaling in the 1800’s and early 1900’s and highlights the incredible relationship between the legendary whalers of the time and the Killer Whales in Twofold Bay, Eden. We are fortunate to be surrounded by pristine coastal National Parks, including Bournda National Park, Ben Boyd National Park and Mimosa Rocks National Park. These are are all worth exploring for their walks, bike trails, fishing and beautiful unspoilt beaches. Visit our National Parks and Wildlife Service Office in Merimbula, they offer a broad range of activities in our beautiful coastal National Parks. Catch your own prawns in the summer season in one of our pristine estuaries. Or dine in one of the many fine restaurants Merimbula has to offer. Don’t forget the Eat Merimbula food festival in March, with local restaurants and food producers’ gourmet offerings on display for you to sample! Cruise our bays, lakes and estuaries on one of our cruise boats or experience the thrill of whale watching in spring in the sapphire blue waters of the Pacific Ocean. Tandem Skydiving, learn to fly a Plane or to Scuba Dive, take an Ocean Adventure Tour, experience Canoeing on Brogo Dam or go Sea Kayaking, try your hand at Paintball, seek thrills on a Joy Flight with aerobatics, go Horse Riding in the mountains or enjoy a scenic plane trip along the beautiful coastline. Merimbula offers a range of sports from hiking, walking, year-round golf and bowls, tennis, netball, basketball, AFL, Rugby League, cricket, horse riding, scuba diving, sailing, yachting, fishing, surfing and bodyboarding. Visit our galleries and museums and enjoy a strong heritage of Koori culture, which is on display for all to see.